Alright, friends, I need to talk to you about blog hosting companies. Like, I have to get this out or I might go crazy. 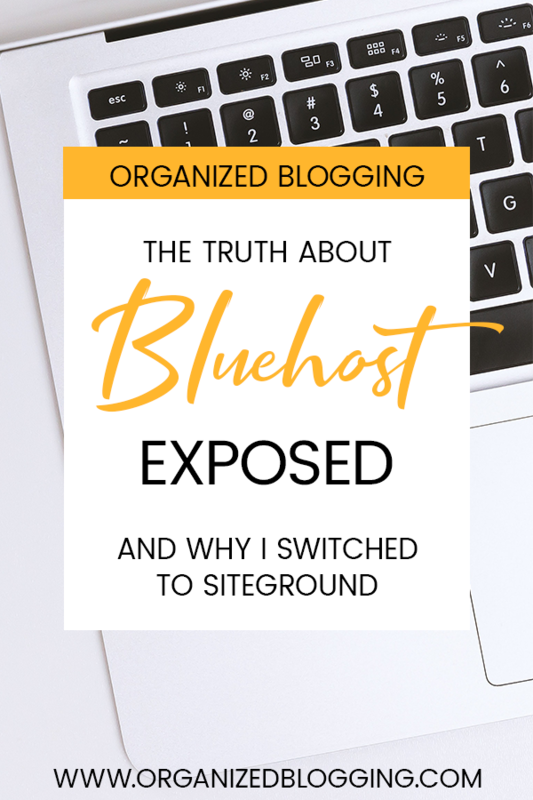 I have a lot of strong feelings about hosting companies and I need to tell you about why I decided to switch to Siteground from Bluehost. And why seemingly every blogger recommends Bluehost. Not me, friends. Not me, ever. I’m not going to get into that nitty-gritty confusing stuff and talk in easy-to-understand terms. When I started my home improvement blog Hello Hayley back in 2016, I was following all the guides on how to start a blog. It seemed like every “expert” recommended Bluehost. I trusted all the guides and decided to use them, too. The setup process wasn’t too bad and I got my blog up and running within a month. Within the first few months, my website would randomly go out for 5 minutes at a time. I wouldn’t be able to access my WordPress Admin panel and I was left waiting for it to come back. Sometimes it would happen for 10+ minutes. As a blogger, it was simply infuriating. Sure, there’s one guy sprinkled in there who hasn’t had issues. But the rest? Run! Bluehost offers a SERIOUS affiliate program. When a blogger recommends Bluehost and the reader makes a purchase, the blogger gets paid a whopping $65 from the sale. In fact, their affiliate page states they paid out $5 million last year in affiliate commissions alone. That’s a huge incentive to recommend them as a hosting company. As a blogger with a ton of traffic, all those $65 payments could easily pay your monthly mortgage or more. That’s a pretty sweet incentive program. But, have they actually done their research to find the best hosting company? Have you done your research? After some sleuthing, I decided to switch to Siteground from Bluehost. Because, I mean, come on. Look at these reviews. They migrated my entire website for free. I’ve never experienced any downtime. Their prices are incredibly reasonable. When I rebranded and was having trouble redirecting my website to my new URL, they just did it for me. For free. Their customer service chat is excellent – which is great because I hate talking on the phone. They don’t make me feel stupid for asking stupid questions, like, asking them to check things that I could have checked myself. Their online platform is easy to navigate and their help guides are actually useful. I easily upgraded to their medium-sized package when I started this blog so I could host multiple websites with them. So, now that you know why all those bloggers are recommending Bluehost, I hope you’ll do yourself a favor and choose a host with great reliability and hosting support. This was a good read. I signed up for Siteground when I first started taking design classes and loved it! But as of right now I’m using Host Gator because at the time I signed up they had a good offer that I simply couldn’t pass up. $125 for 3 years! I haven’t had any issues with my website crashing or anything. Thanks so much, Lissa! I’ve also heard great things about Host Gator. If I had to switch away from Siteground for some reason, they’d definitely be my next pick. Plus, that’s a GREAT deal! Thanks for stopping by! This post is spot-on! I used Bluehost for a year and experienced nonstop technical problems – internal server errors, bad gateways, downtime…the list goes on. The worst part, though, was dealing with the rude, unhelpful customer service! When my site got hacked (thanks to their poor security), they blamed me for the problem. That was the last straw. 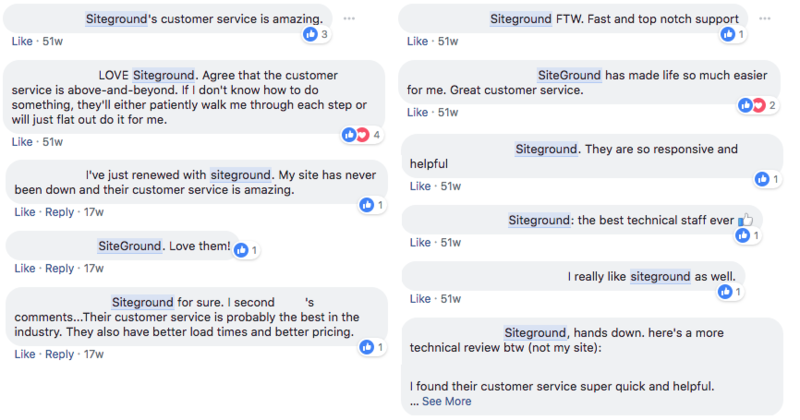 I switched to Siteground and couldn’t be happier. It has made web hosting so much better.